This bright and beautiful Sausalito room is designed by Stephen Shubel. 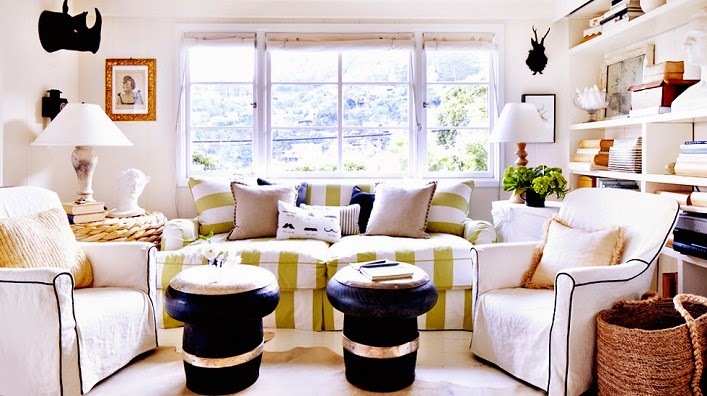 I find its casual Californian vibe, quirky accessories and nautical touches very appealing. Honestly, I would not select most of the pieces in this room myself but they work so well together. Refreshing and airy with a sense of effortless, nautical chic, this inspirational room will be revisited again and again. What are your thoughts? Do you find this room as inspirational as I do?